The subject that MikioUrasaki has been working on consistently is his very familiar everyday scenes. Yet the graphic descriptions by his realistic touch and the layers of decalcomanie-which deliberately rejects our drawn eyes- actually give things mysterious presence and cause ambivalence in our everyday senses. In the installation titled ‘Minamo’, sceneries of water surface emerge as one of his themes. 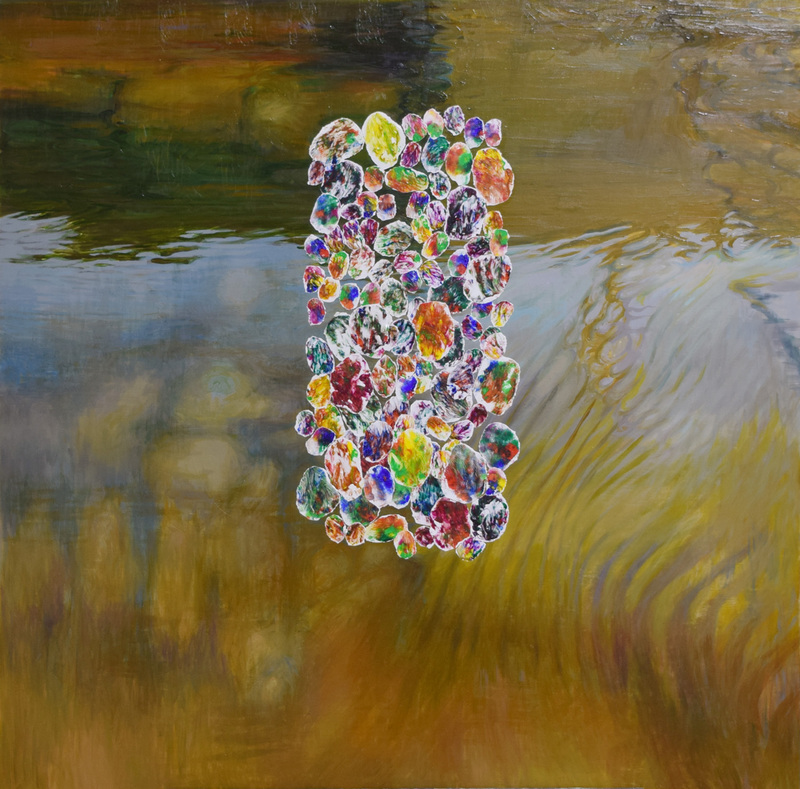 Urasaki’s eyes are closely focused on the being of ‘water’ which in itself is transparent and has no forms and can only be visualised by thing’s shadows and ripples.